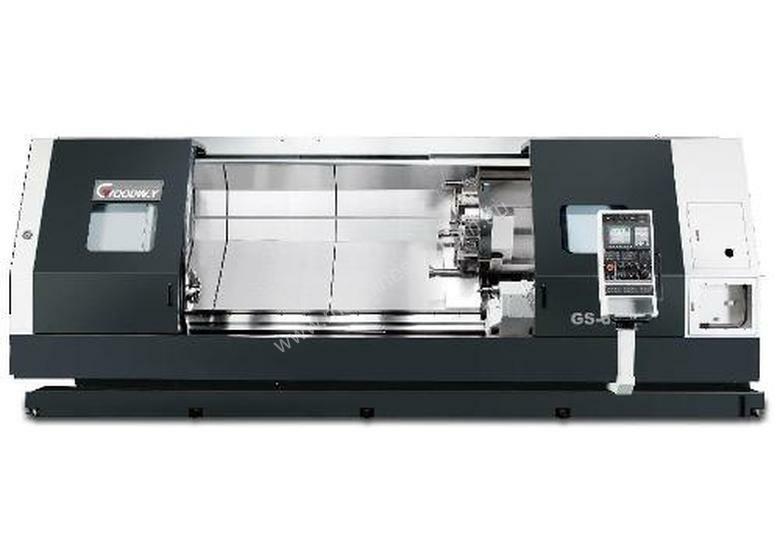 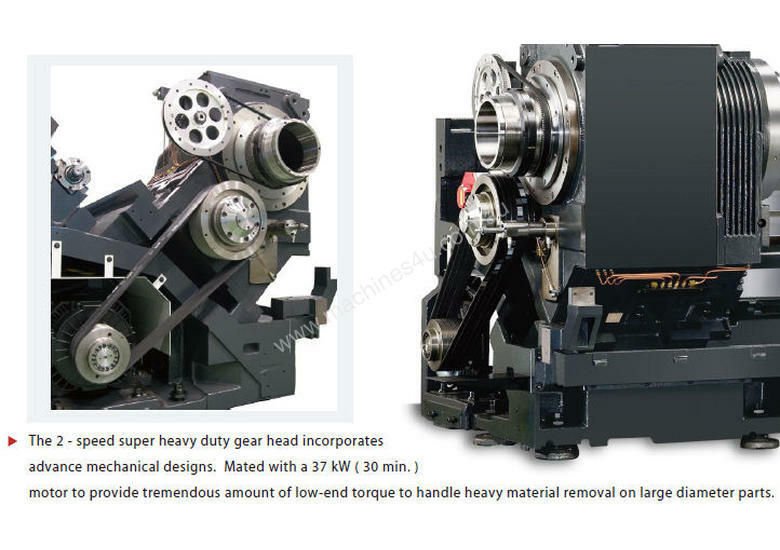 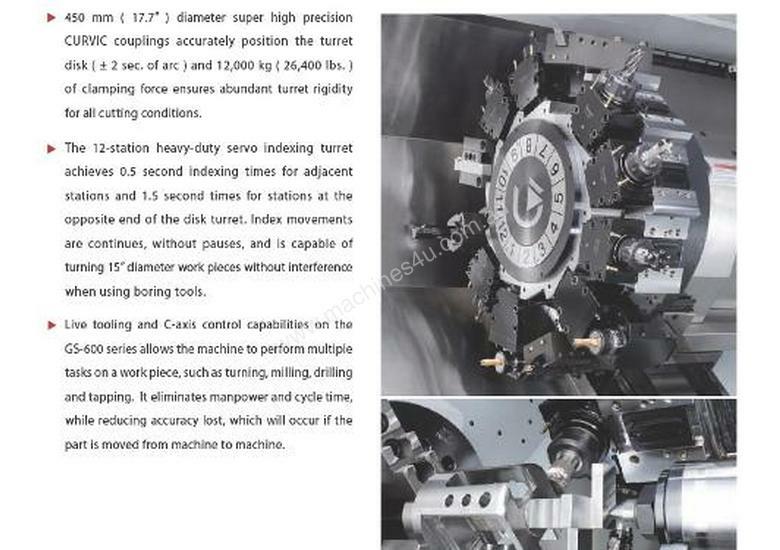 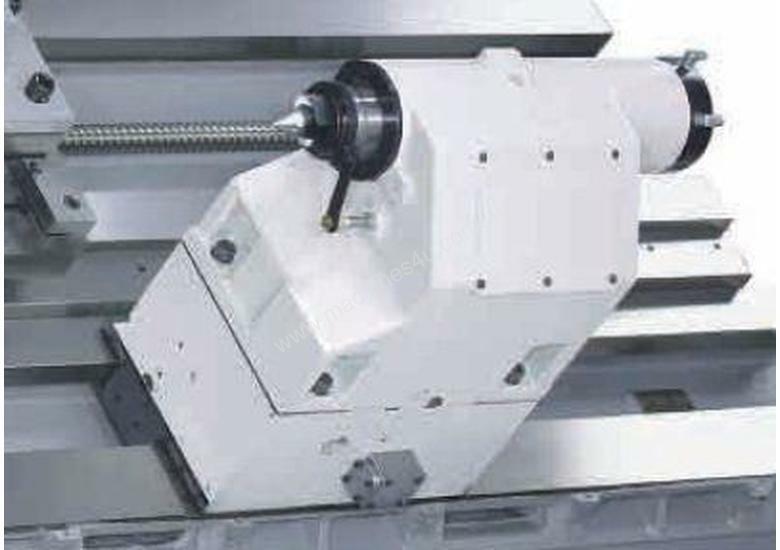 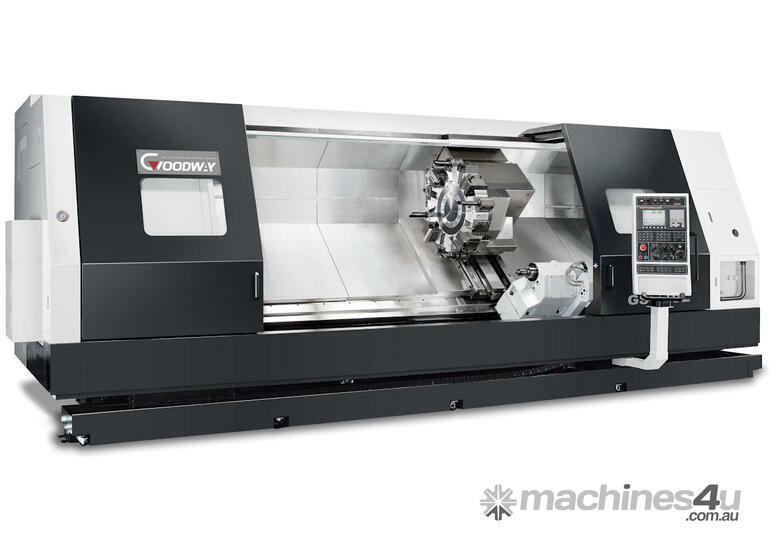 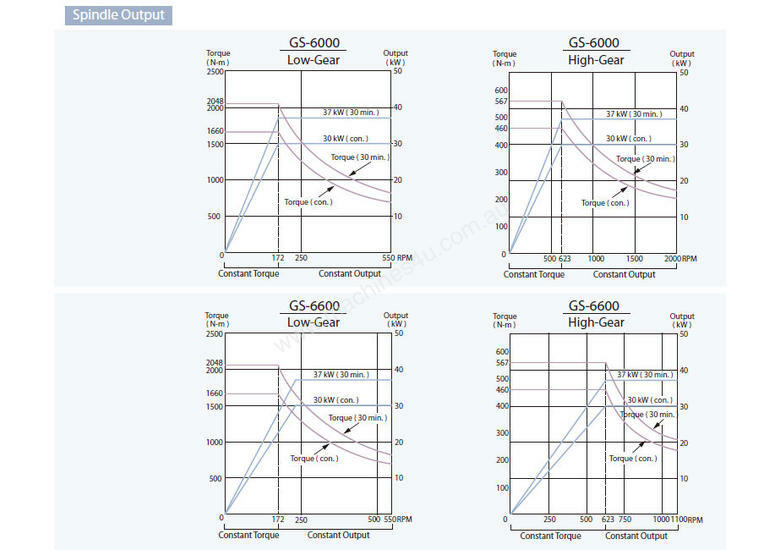 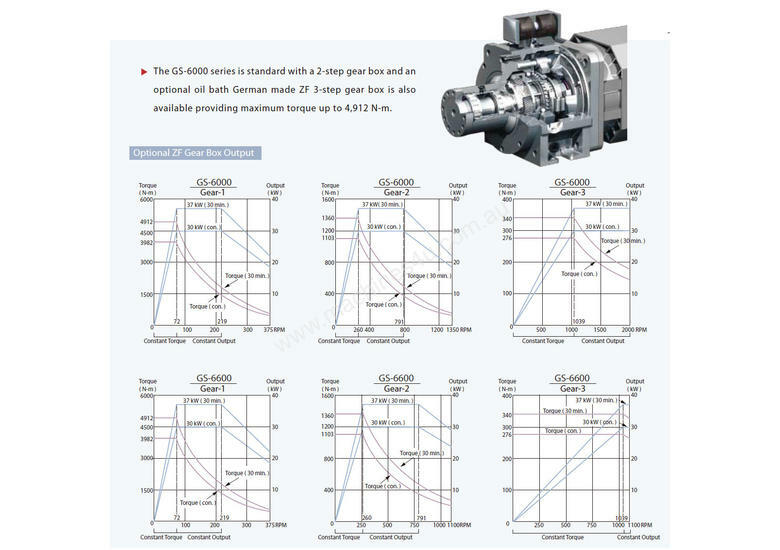 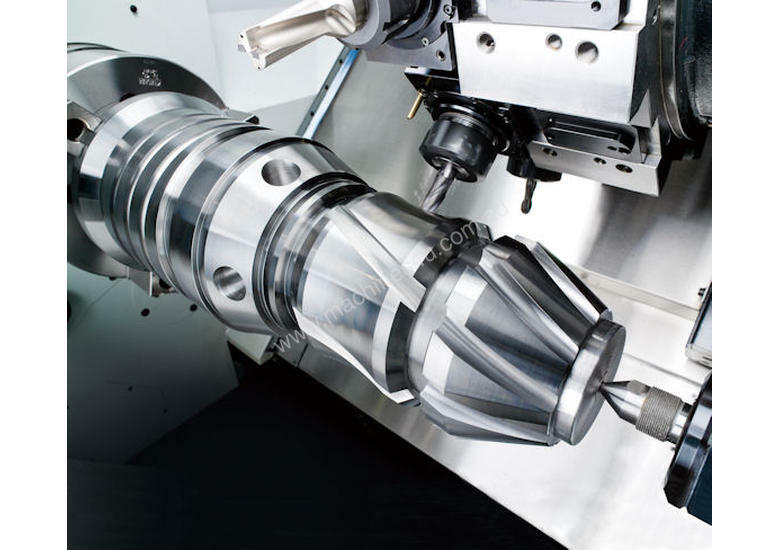 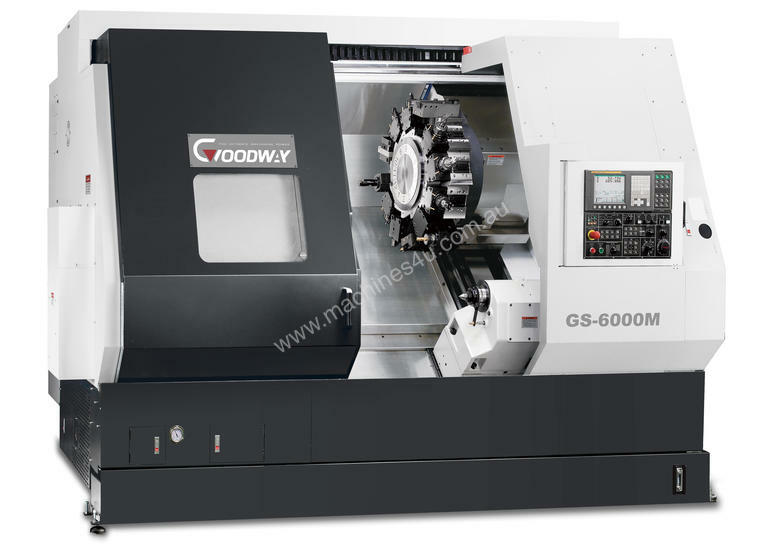 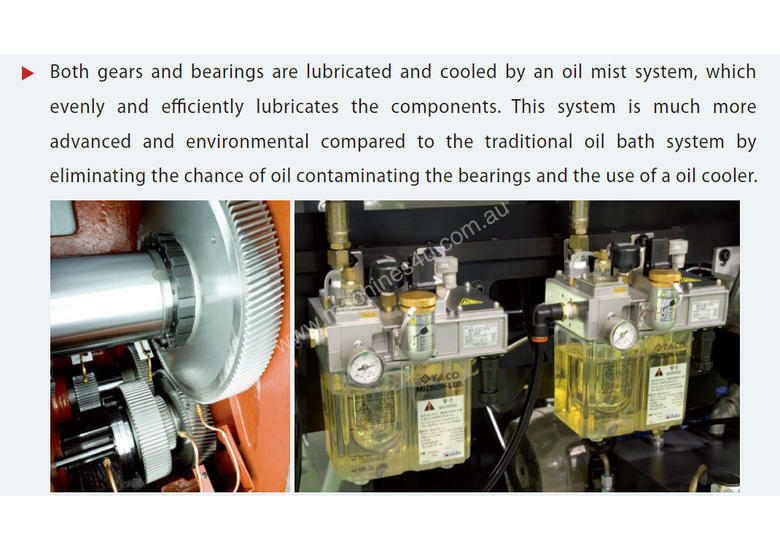 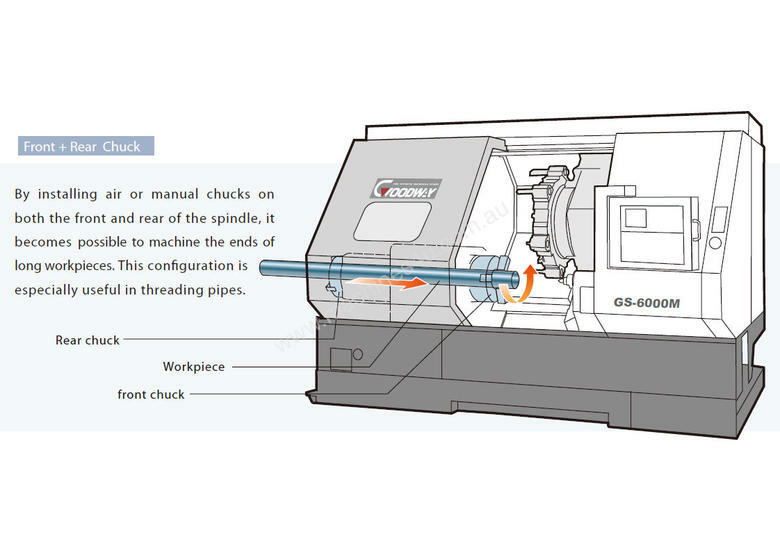 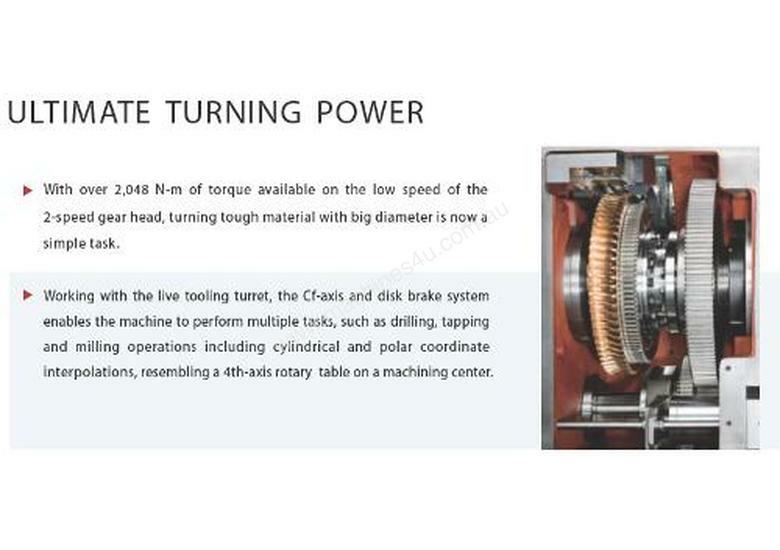 With leading technologies and high quality components, the GS-6000 series maximum performance turning centre combines a super rigidity box way bed with super large diameter servo indexing turret and 2-step gear spindle structure that provides great horse power, high speed indexing, and heavy-duty cutting capabilities. 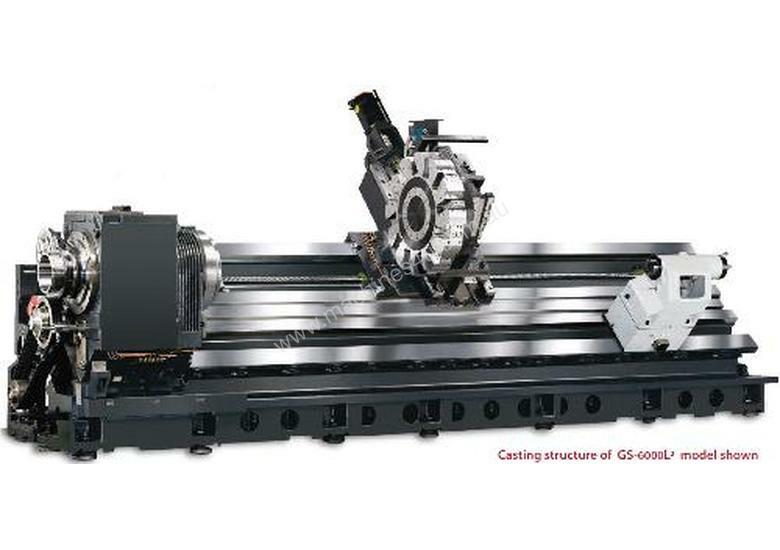 The GS-6000 series is available with optional L² model, with up to 3,300 mm turning length and "M" model with live tooling turret and C-axis, which enables higher cutting flexibility and multi-tasking power to meet most of today and tomorrow’s turning applications demands. 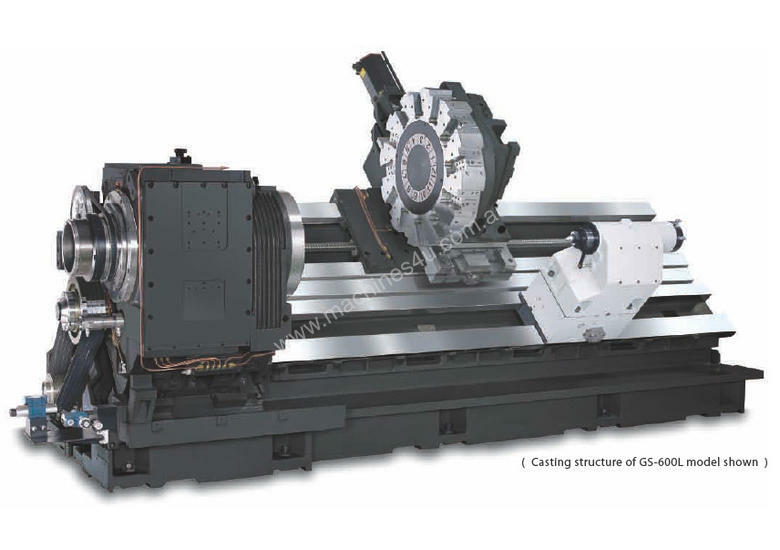 Chuck size: 20” / 21” / 24” / 32"
C/w Fanuc or Siemens Conversational Control, 2 Speed Gearbox, Chip Conveyor, Renishaw Tool Setter, Live Tools, C Axis (no milling holders included), Programmable Tailstock Body & Quill.